Although claimed by many, the origin of Kombucha remains a mystery. Most sources attribute this “magic tea” to the Chinese, dating back over 5000 years. 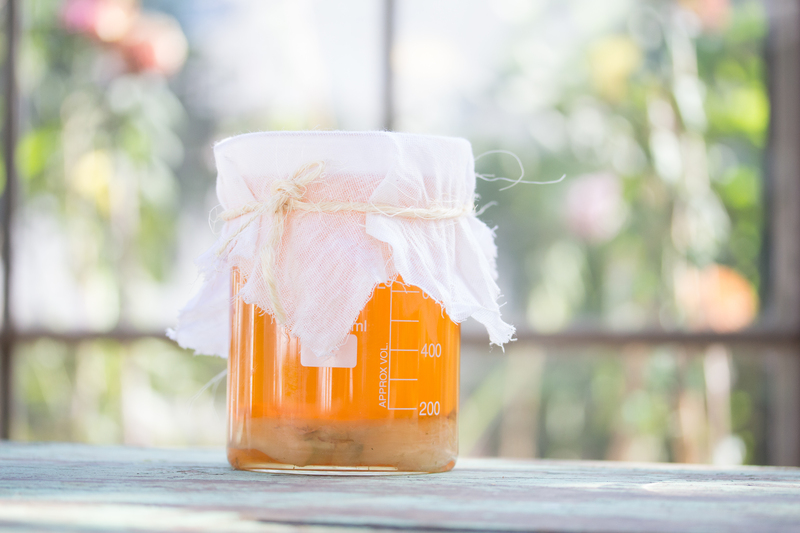 We have to admit that a jar of fermenting Kombucha looks like a science experiment: however, the end-product is a deliciously refreshing drink with many alleged health benefits. I usually avoid caffeine and enjoy experimenting with different herbs. My favourite is Babylonstoren home-grown rooibos. Adding a slice of ginger to the jar during the fermentation process adds zing. 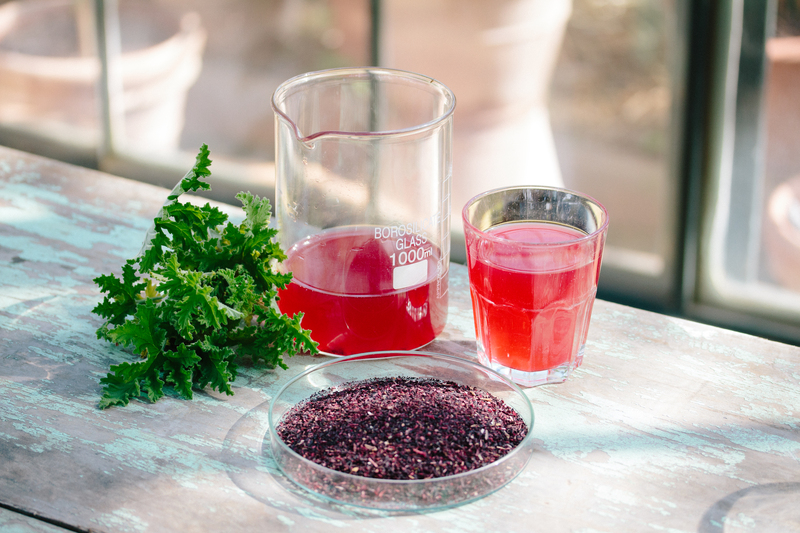 Alternatively, a pinch of hibiscus with a handful of rose pelargonium makes for a pink pick-me-up. A disk of “scoby” (mother). This can be bought online or from good health shops. Store the mother in a container in your refrigerator and regularly feed with a little bit of sugar to keep those enzymes active. When going away, don’t despair, she’ll happily slumber in the fridge until your return.